25.You can give to Habitat in more ways that one. Volunteering your time or providing a meal are great ways to be involved with Habitat. 24. You can make space in your garage and donate those tools you know you’ll never use again. 23. Donations are tax deductable. 22. We build local. Since 1995 a total of 46 Habitat homes have been built in North St. Louis County in Aurora, Babbitt, Biwabik, Buhl, Chisholm, Cook, Embarrass, Ely, Eveleth, Hibbing, Mt. Iron, Soudan, Tower and Virginia. 21. You can save yourself a stamp and donate online today. 20. Volunteer and you can get a really cool T-Shirt. 19. Studies show that giving can make you feel good about yourself. And who doesn’t want that? 18. It was found that 84 % of partner families felt safer at their new Habitat home in a recent pilot study Habitat Minnesota conducted. 17. You can be a part of a worldwide mission. Seeking to put God’s love into action, Habitat for Humanity brings people together to build homes, communities and hope. 16. Each partner family invests over 300 hours of “sweat equity” in building their home. 15. North St. Louis County Habitat for Humanity is in the top 25 tithers for medium sized affiliates in the US. 14. You’ll be giving a HAND UP not a hand out to families looking to own their own home. 13. 69% of homeowners said they spend more time with their family in the pilot study from Habitat Minnesota. 12. You can help support sustainable green building. 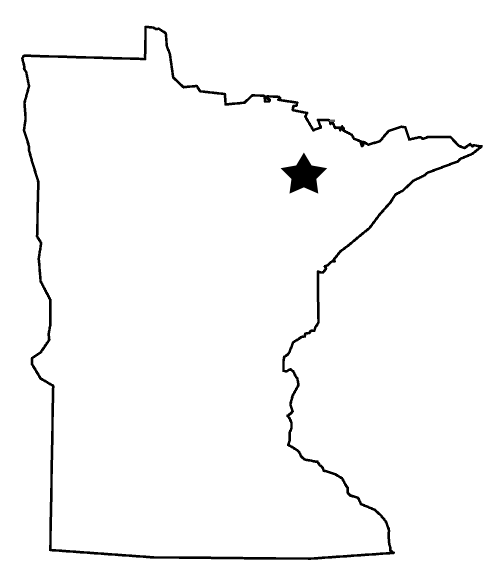 All NSLCHFH homes in 2011 were built according to Minnesota Green Communities Guidelines. 11. You can make a donation in memory or in honor of a loved one. 10. 93 cents of every dollar raised goes towards building homes. 9. 73% of homeowners said they feel more connected to their community (from the Habitat Minnesota pilot study). 7. 88% of respondents from the Habitat Minnesota study said they felt better about their children’s future since getting a Habitat home. 6. 75% of respondents from the study have said that someone in the family has started, completed or plans to attend higher education. 5. You can meet a lot of nice people on a build site. 4. Christmas time is about giving. Take a minute and give the Gift of Shelter. 3. Habitat moves families out of substandard housing into simple, decent, affordable homes making home ownership a reality that would otherwise be unattainable. 2. 93 children in North St. Louis County are in safe and affordable homes this Christmas thanks to donor and volunteer support. 1. YOU CAN MAKE A DIFFERENCE!